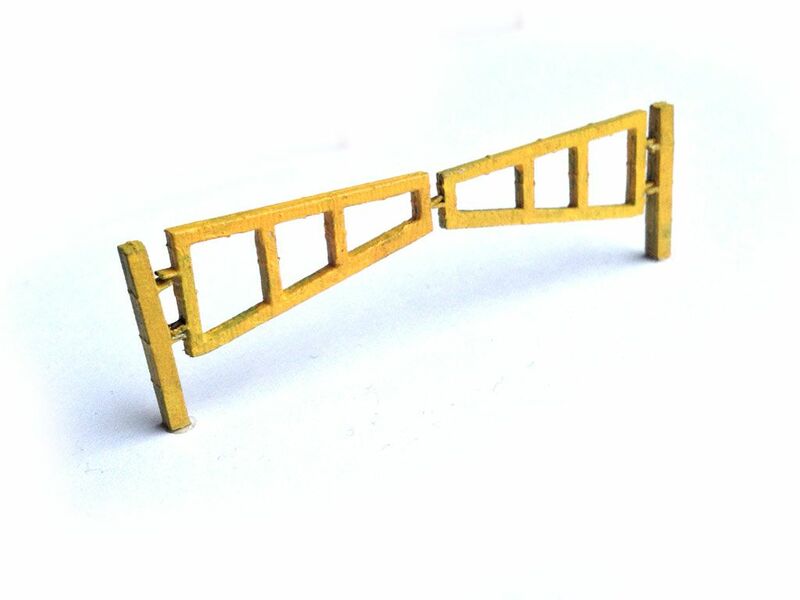 A pack of 5, self-assembly laser cut card Swing Arm Security Gates in HO / 1:87 scale. 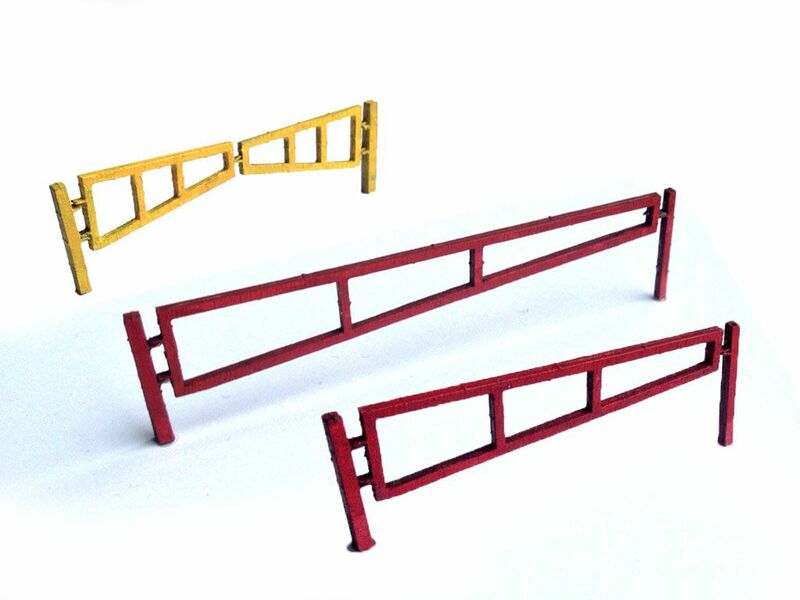 Ideal for adding detail to car parks, freight depots, maintenance depots and more. Straightforward to assemble with instructions included. Can be easily painted using artists acrylics. Pack comprises of 2 x 2m gates, 2 x 4m gates and 1x 6m gate plus posts for each gate. 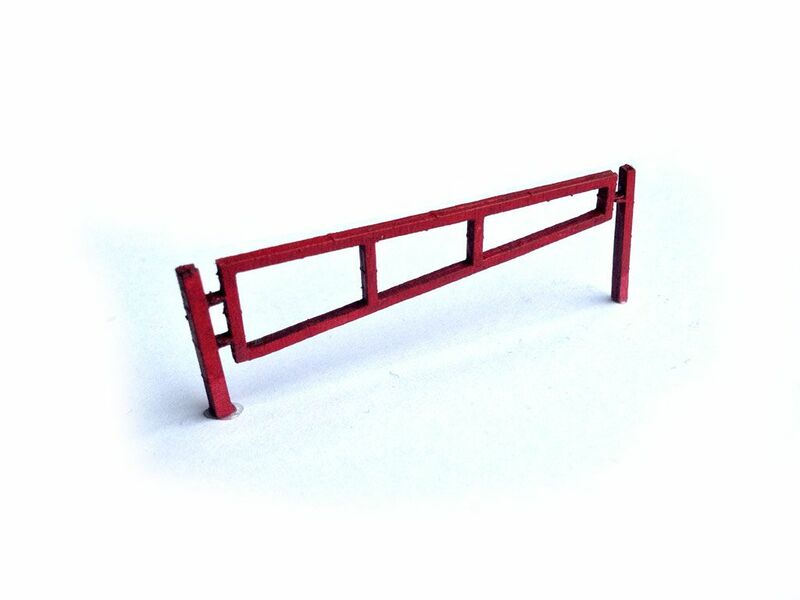 Gates can be used individually or in pairs to cover wider spans. 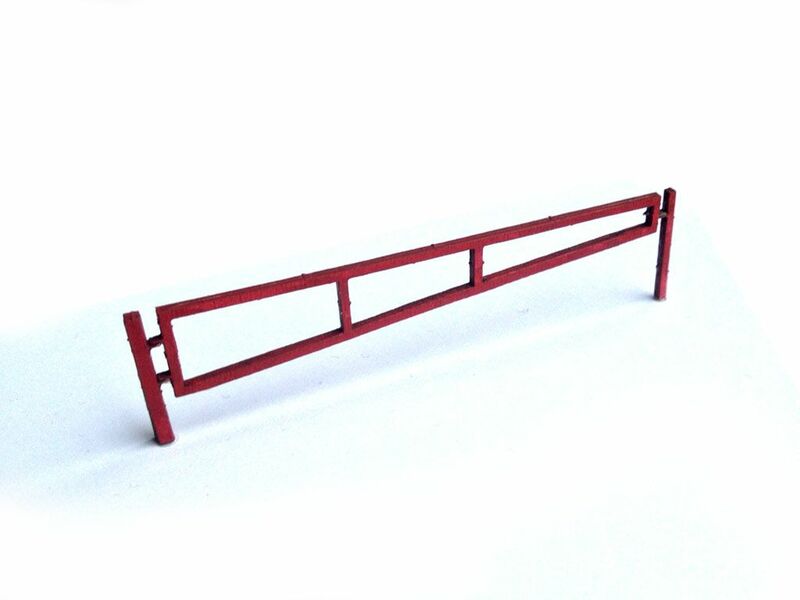 Simple, sturdy, layered construction for durable models once assembled. Compatible with all makes of HO gauge model railway. I normally scratch build fences etc, but these gates just "hit the spot".